You may find that you need to subscribe or add individual contacts to your list. Conversely, you may also need to unsubscribe individual contacts. All unsubscribers will be added to every suppression list associated with this list. 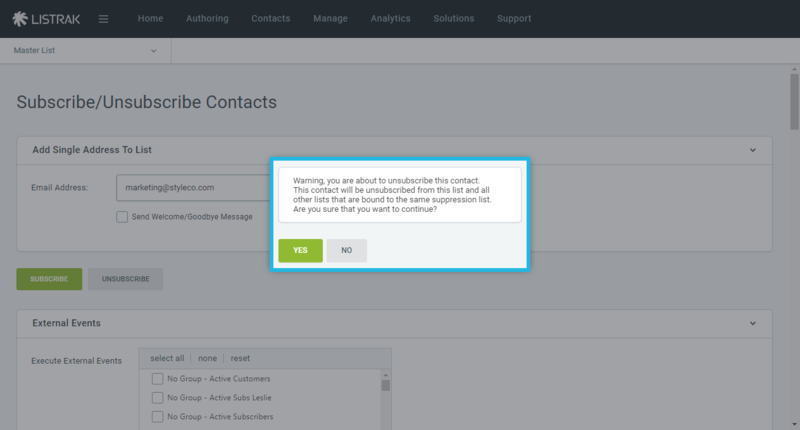 For example, if the contact has subscribed to My Company's Weekly Sales Email Campaigns as well as My Company's Monthly Newsletter, and if the same suppression list is used for both lists, the contact will be removed from both email lists. A suppression list is not needed when only one master list is used. For more on how to use suppression lists, check out Suppression Lists. 1. Select the list you would like to add the contact to. Your lists are displayed in a panel on the left-hand side of the screen. 3. Go to subscribe/unsubscribe contacts. 5. You have the option to send a system default welcome or goodbye message, however, it is best practice to use Listrak Conductor to create a Welcome Series conversation. Read Basic Welcome Series Setup Guide. 6. Click either subscribe or unsubscribe. 7. If you have selected unsubscribe, a confirmation warning will appear. Click yes to confirm that you want to remove the contact from the list. Clicking no will take you back to the previous page. This simply means that you are opting to add the new contact directly into an existing conversation that you've set up, such as a birthday campaign or a welcome series. If you opt the contact in to the welcome series, they will automatically receive your welcome message #1. Check all the "events" you want to opt your contact in to. 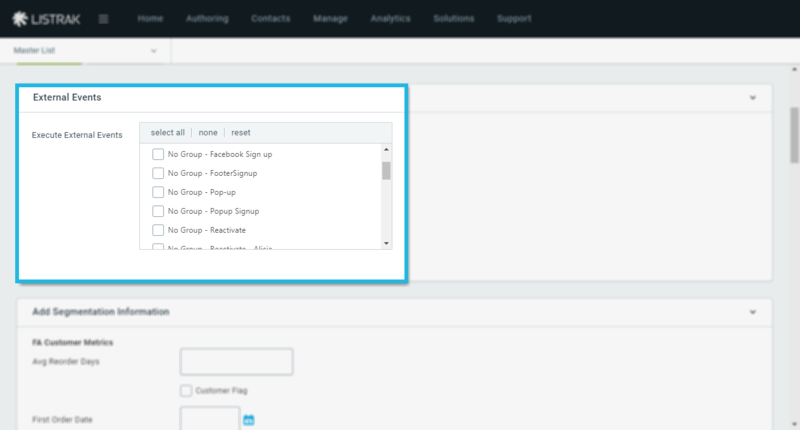 You can add customer details on this page as well if you have segments set up already on your list. This can be used for segmentation in future campaigns. 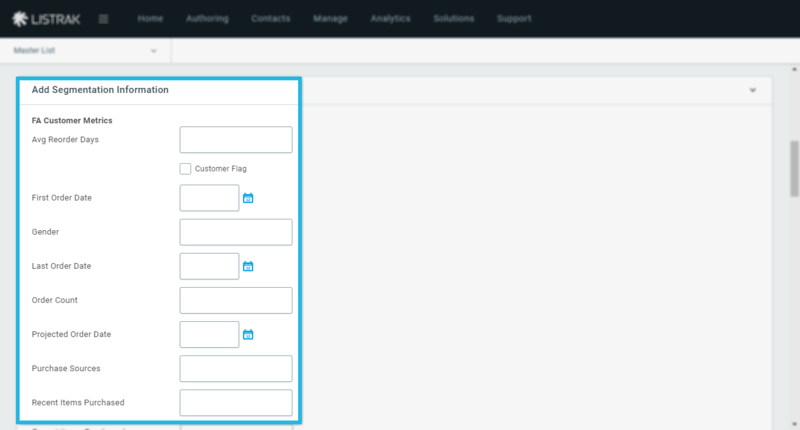 If you do not have the options to add segmentation information, you can learn how to add profile fields or segments in Add Segments to a List. 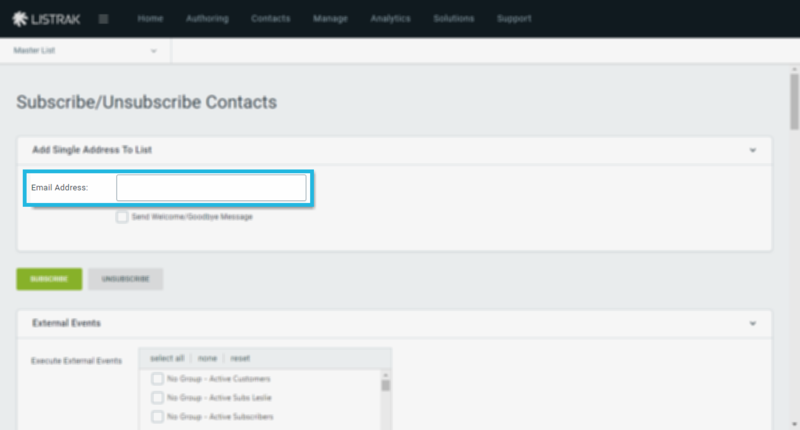 Skip down to the section called add segmentation information and manually enter the new contact's information.